The astonishing story of how the British codebreakers of Bletchley Park cracked the Nazi Enigma cyphers, cutting an estimated two years off the Second World War, never ceases to amaze. 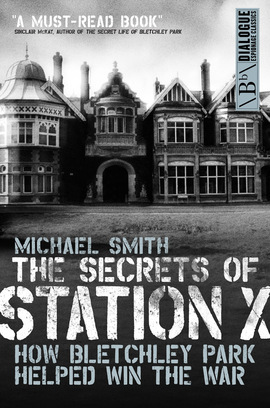 No one is better placed to tell that story than Michael Smith, whose number one bestseller Station X was one of the earliest accounts. Using recently released secret files, along with personal interviews with many of the codebreakers themselves, Smith now provides the definitive account of everything that happened at Bletchley Park during the war, from breaking the German, Italian and Japanese codes to creating the world’s first electronic computer. The familiar picture of Bletchley Park is of eccentric elderly professors breaking German codes, but in fact the vast majority of people who worked at Bletchley Park were young women. For them and for the young graduates plucked from Britain’s best universities who did the bulk of the day-to-day codebreaking, this was truly the time of their lives. The Secrets of Station X tells their story in full, providing an enthralling account of one of the most remarkable British success stories of all time. "A fascinating book which reminds us of the enormous contribution made by the men and women of Bletchley Park to the wartime fight for freedom"